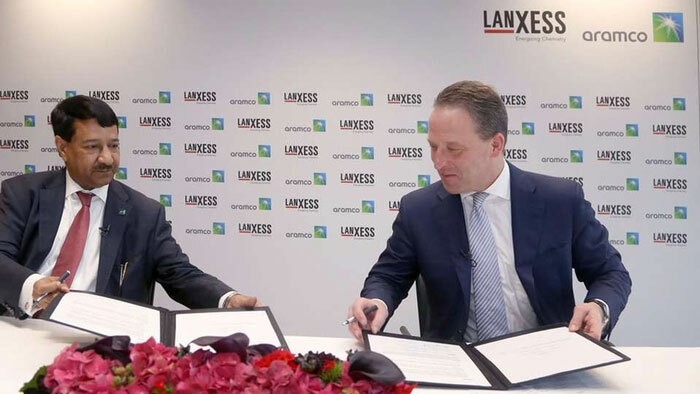 Saudi Aramco has completed the acquisition of LANXESS‘s interest in ARLANXEO Holding B.V., a Netherlands-based specialty chemicals joint venture between Saudi Aramco and LANXESS launched in 2016. All relevant authorities have granted approvals for the transaction which was first announced in August 2018. Saudi Aramco’s purchase of LANXESS’s 50% share in ARLANXEO, valued at EUR1.5 billion (USD) on an enterprise value basis, makes it the 100% owner of ARLANXEO, enabling further diversification of Saudi Aramco’s downstream portfolio, and strengthening the company’s capabilities across the energy and chemicals value-chain. ARLANXEO is a world-class synthetic rubber and elastomer products company that supplies feedstocks to leading tire and auto-parts manufacturers around the globe. As a fully owned subsidiary of Saudi Aramco, ARLANXEO will accelerate the development of growth opportunities integrating the strong feedstock position of Saudi Aramco. In addition, full ownership of ARLANXEO will enhance Saudi Aramco’s sustainability efforts to optimize tire performance-related fuel consumption in line with its efficient fuel/engine R&D strategy, which is focused on increasing fuel efficiency and reducing engine emissions. All of these efforts are aligned with Saudi Aramco’s overarching downstream aspiration to drive value by expanding and integrating its portfolio and partnerships, as well as creating additional revenue streams. “ARLANXEO, now as a 100% owned Saudi Aramco subsidiary, represents an essential component to our global position in the chemicals market. Full ownership of ARLANXEO will further diversify Saudi Aramco’s downstream portfolio and strengthen capabilities along the energy and chemicals value chains,” said Abdulaziz Al-Judaimi, Saudi Aramco senior vice president of Downstream. As a wholly-owned subsidiary of Saudi Aramco, ARLANXEO will continue to serve the development, production, marketing, sale and distribution of specialty chemicals and synthetic rubber products, principally for the high-volume global tire and automotive industries. ARLANXEO will maintain its current base in Maastricht, the Netherlands.